Indeed, Africa is experiencing a new wave of entrepreneurship and its young generation aren’t left behind. This realisation probably birthed the Anzisha Prize — an initiative that seeks to award young entrepreneurs who have developed and implemented innovative solutions to social challenges or started successful businesses within their communities. 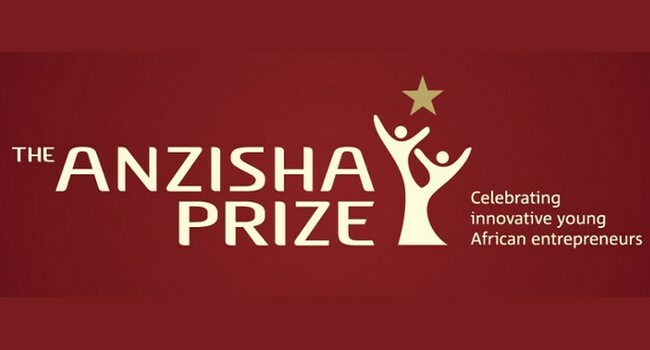 The Anzisha Prize selects 15 finalists from across Africa to win a spot in a lifelong fellowship which is meant accelerate their path to entrepreneurship success. Upon selection, these finalists win an all-expenses-paid trip to South Africa to be a part of a 10-day long entrepreneurship workshop and conference at the African Leadership Academy campus on the outskirts of Johannesburg. Then, the grand prize winners, selected from these finalists, will share prizes worth $100, 000. The fellowship continues thereafter, offering them business consulting services to unlock growth potential in their venture, connecting them to a global network of leaders, providing access to global speaking opportunities, and supporting their professional development. In addition to the $100 000 competition, the Anzisha Prize seeks to fundamentally and significantly increase the number of job generative entrepreneurs in Africa. We believe that a key to doing so is to test, implement and then share models for identifying, training and connecting high potential, very young entrepreneurs (15 to 22 year olds) so that many more organisations have better collective success in creating a pipeline entrepreneurs with the capabilities for scale. Already Running Venture: Is the venture established with customers and beneficiaries? Does the venture deliver value to said beneficiaries and customers? Founder-led: Is the venture led and managed by the founder? Impact: Has the venture demonstrated some impact already? Scalability: If the venture is a for-profit business, does it already earn revenues and does it have potential increase revenues with the support of Anzisha? If the venture is a not-for-profit enterprise, does it already reach beneficiaries and does it have the potential to reach many more beneficiaries with support from Anzisha? Job Creation: Has the venture created some jobs and has the potential to create more high-quality jobs? If you are a young African entrepreneur who falls between 15-22 years of age, you may visit the website to apply for the program. Deadline is March 31, 2017.